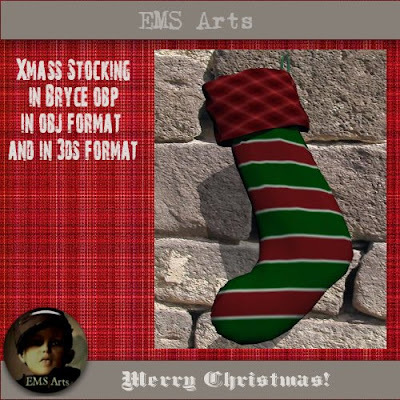 EMS Arts: Fill up your stocking - freebie alert! 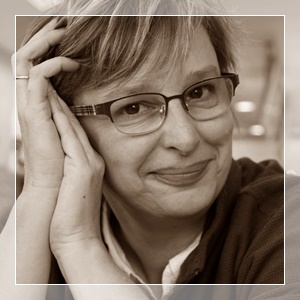 Fill up your stocking - freebie alert! Although we don't celebrate Christmas, I do wish to give you a Christmas present and I made several, fitting for all kind of stockings :) Just pay attention you download the right file (for some you need special programs in order to use the file). 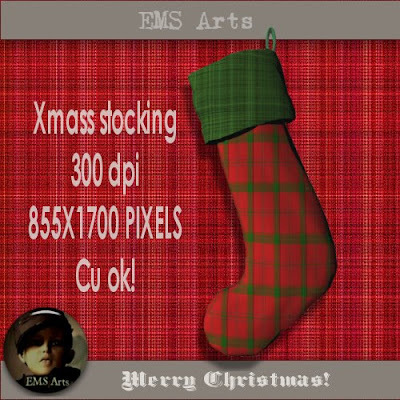 A Christmas stocking for scrappers, in png format, 300 DPI, full size, can be used commercially. 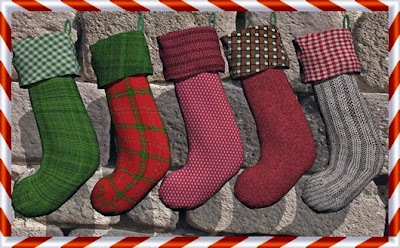 A Christmas stocking 3D-model for 3D Artists. Included in the zip is a textured Bryce OBP model, an untextured obj format model, and a untextured 3ds model. You need a program that can read OBP, obj or 3ds to use these files. A pack of Bryce materials. 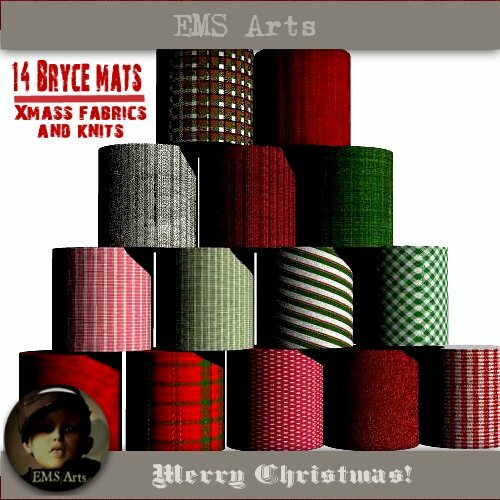 14 holiday fabrics and knits, made in Bryce 7 but might work in earlier versions. You need the program Bryce to use this file, available at Daz. The file is hosted at Renderosity. A pack of 14 styles, Christmas knits and fabrics, tested in CS2, commercial use ok (see readme). Available for free in my store (you need to register - free). You need photoshop to use this file, available at Adobe. Note: This Freebie is free until January 31th! After that, it's a regular item in my store! and last but not least, both my stores at Coolscrapdigital and CU digital are on sale 30% off during the holidays (store-wide sale 25th December till January 2d). I am not sure when the next sale will be, so this is your chance :) At CSD you"ll get the free winter mega kit with min. purchase, at CUD you"ll get a CU grabbag with min. purchase! Thank you so much for this post. 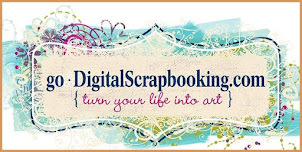 I want to let you know that I posted a link to your blog in CBH Digital Scrapbooking Freebies, under the Page 3 post on Dec. 23, 2010. Thanks again.